I showed them some of the things that I was working on and it occurred to me that I should make them some sort of holiday related gift for Christmas. Unlike me, they are very into decorating their house for the holidays. 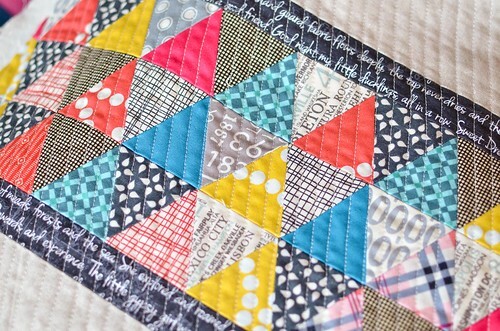 I am still on a little bit of a triangle kick and I had so much fun working with Laurie Wisbrun's Brrr! fabrics last time that I thought I would include those in a table runner. It ended up a little bit wide (I think the finished size was 20x42") so I added some sleeves to the back in case they wanted to hang it instead. I am going to send to them a little early so they can actually use it for Christmas, so it is headed for the post office today. 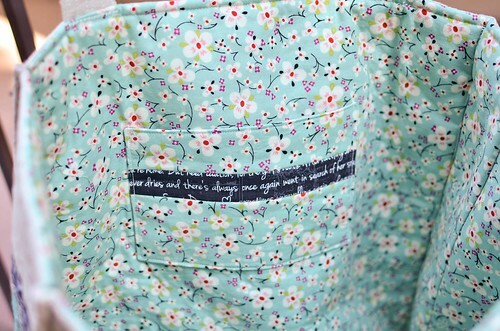 Last week I received a package from Caitlin in our Wish Circle swap. 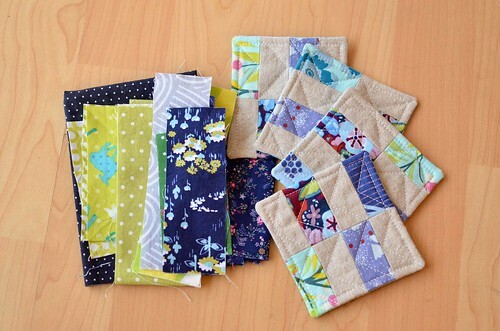 She did an absolutely fantastic job making something that I love and she sent along some beautiful scraps. Thank you so much Caitlin! I feel so grateful to be a part of this wonderful group of women. Every time I participate in a swap I am completely amazed at what people can create and the time and effort that is put into making something for someone else. The runner is super cute! I love those little peeks of polar bears in there. 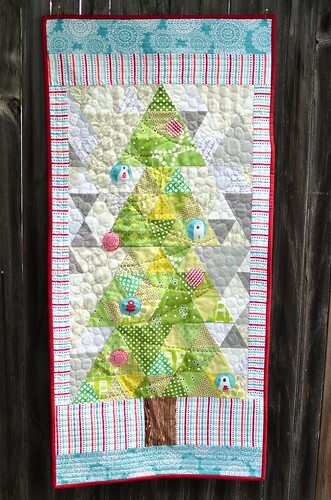 i love your christmas tree runner, it would look gorgeous hung on the wall too!! I love. love. 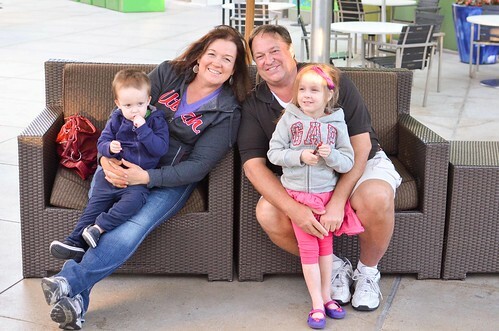 love the runner you made for your parents!! Love the tree runner...I see ornaments! 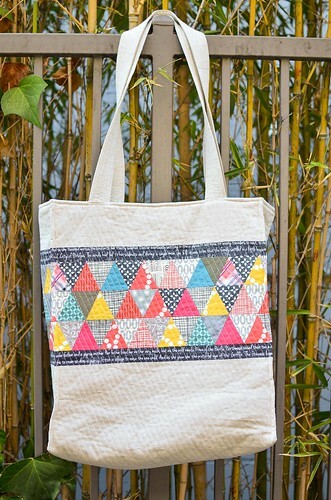 The triangles on that tote are gorgeous!